For added convenience, during peak times, we operate the Boom Box Kitchen. 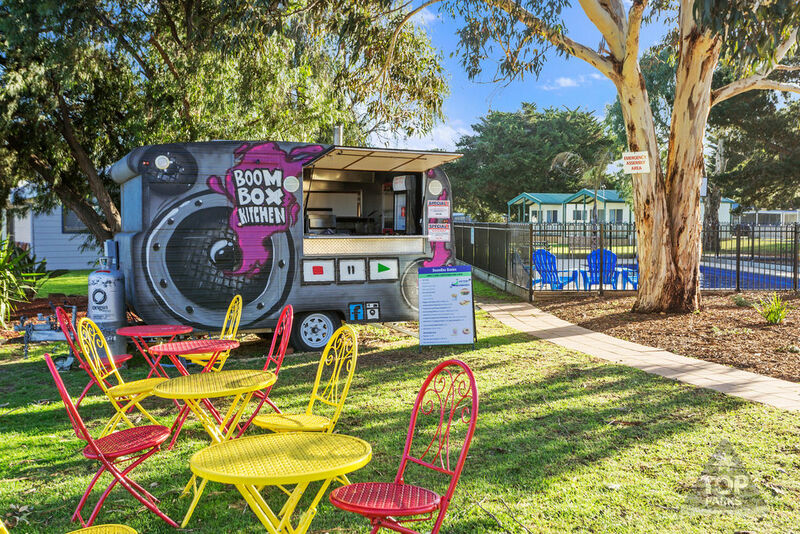 The Boom Box is located next to the swimming pool and jumping pillow and serves a range of take-away food available for dinner, as well as drinks, ice-creams, and on movie nights, hot-donuts and popcorn are also available. Opens at 5:30pm most holidays and long weekends. 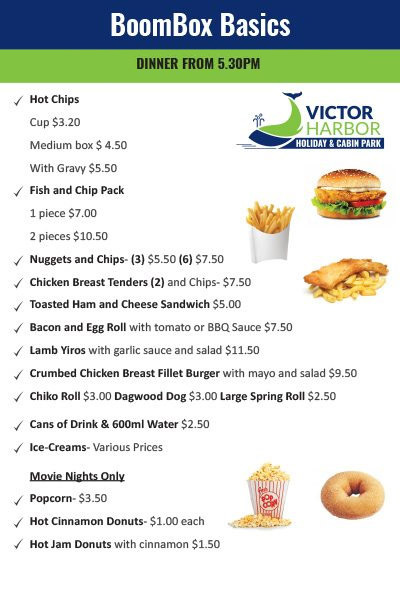 Check with office on arrival for opening times.